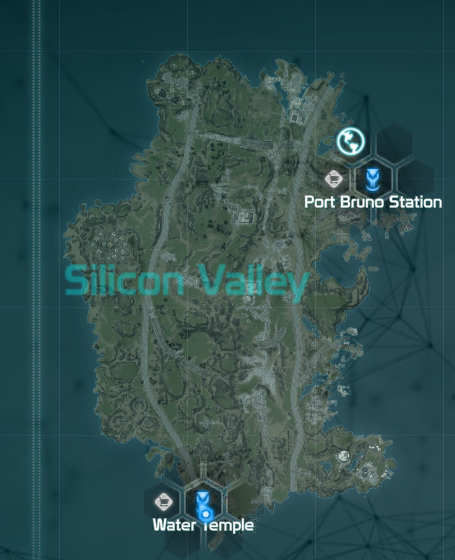 Patch 2.200, released on August 5th 2014, introduced the new landmass Silicon Valley and several new main missions. Silicon Valley is found south of San Francisco. The new landmass is instanced and isn't shown on the main map. - Although this will change in a future patch. At Twin Peaks station (near Overpass) is the Global Transit. It will bring you to the Port Bruno Station. The new landmass has about the size of Marin. The Grid have taken over Silicon Valley and is on you to get it back. At three locations, converted 99ers will try to take over cores and you have to stop them from doing that. Once they took over the cores, Evangels will spawn. You need to destroy them to get Silicon Valley back. Five new Pursuits which award you titles and a total of 40 EGO points.